8vo. ; illustrated throughout in black and white; pictorial wrappers. Near fine. First edition. 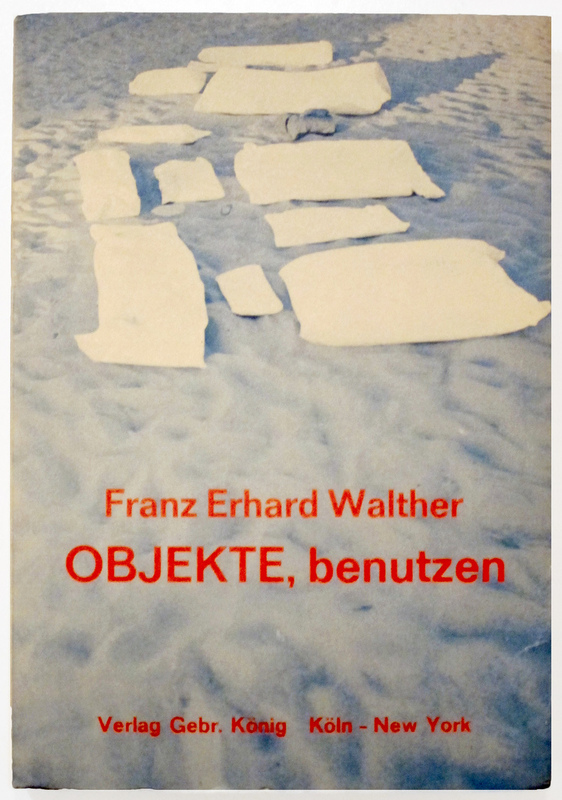 Franz Erhard Walther’s publication is a kind of instruction manual or guidebook to the revolutionary interactive works that he had begun creating in the early 60s. Walther insisted that these objects were not sculptures in themselves, but were activated through the participation of a viewer, becoming artworks only through use. Thus they embody Walther's concept that art is an act of "doing" that is necessarily temporal, subjective, and open to interpretation. 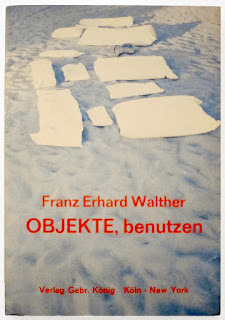 Most of the pieces in Objekte Benutzen are made from fabric and are designed for simple physical actions (pressing, folding, unfolding, covering) by which they occupy and define space and time. 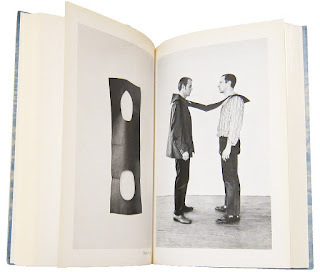 When exhibited (as a number of them currently are at the Dia Center in Beacon,NY) they are intended not merely to be viewed, but to be unfolded, used and worn, all according to the artist’s instructions but also incorporating the input of the viewer/participant.